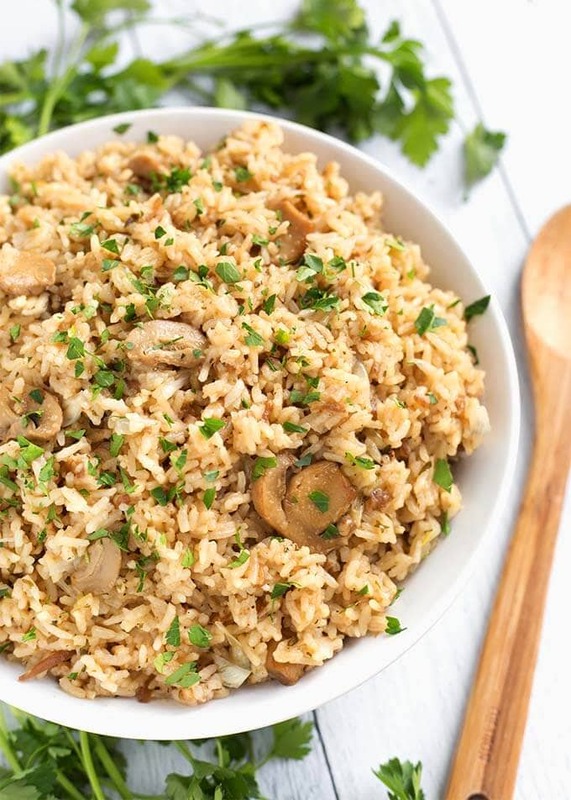 Instant Pot French Onion Rice is my favorite rice side dish. This is another one of my Instant Pot “Dump and Start” recipes. There is a lot of flavor packed into this Instant Pot side dish recipe. This pressure cooker French onion rice is sure to become a favorite Instant Pot recipe! I love it when I can successfully adapt one of my old recipes to cook perfectly in the pressure cooker. Bonus points for being a dump and start recipe! More bonus points for being really delicious! If you have been looking for an easy Instant Pot side dish recipe, then maybe you will want to give this one a try. It is so good, you guys! This rice has a lot of flavor and will compliment chicken, beef, or pork. I have been known to eat this pressure cooker French onion rice all by itself as my meal! French onion is one of my favorite savory flavors. It goes well in rice because the rice will absorb all of that wonderful flavor. With the mix of fresh onion, and the onion soup, you get a wonderful oniony flavor. 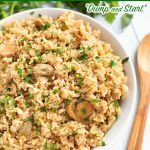 You can even sneak in some chicken into this Instant Pot rice if you want to make a complete meal out of it! See the recipe card notes for the details. 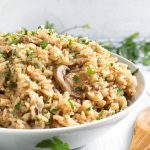 Instant Pot French Onion Rice has a quick 3 minute cook time and a 9 minute natural release. If you use a rice other than white long grain rice, the cook time may change. 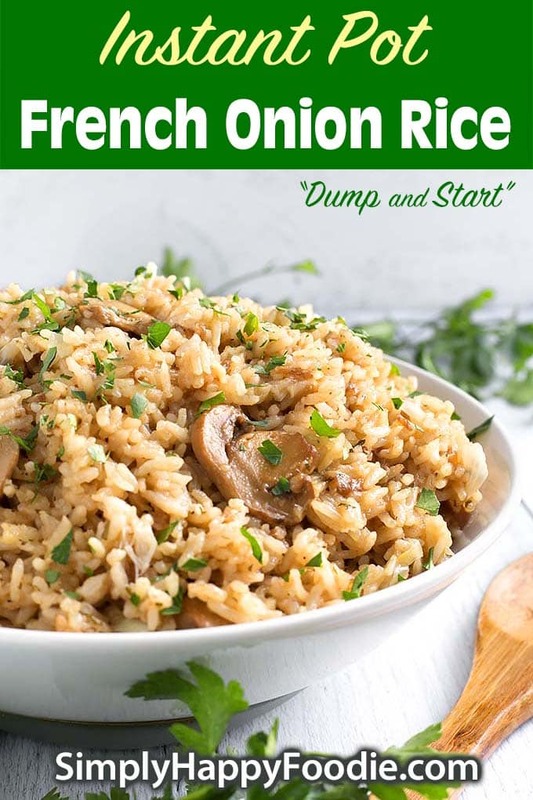 Instant Pot French Onion Rice is a tasty rice side dish, another one of my Instant Pot "Dump and Start" recipes. 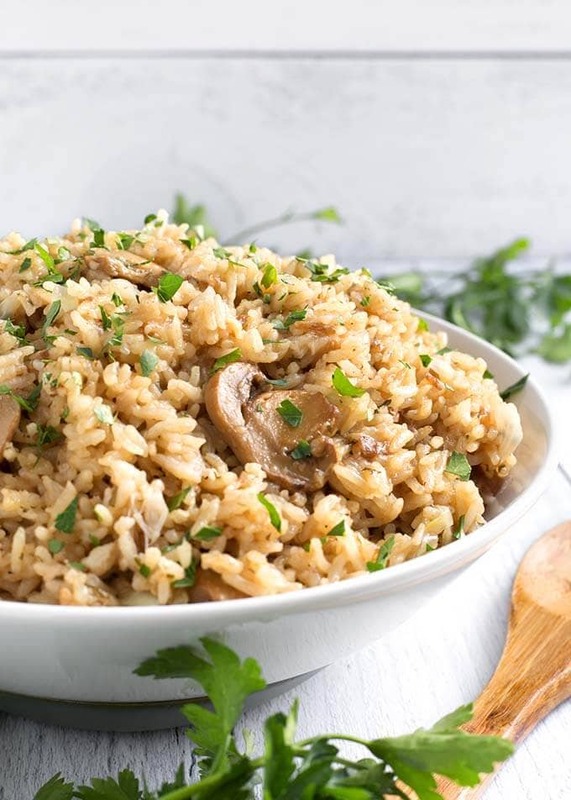 There is a lot of flavor in this Instant Pot rice side dish! Add all of the ingredients in the inner liner pot of the pressure cooker. Stir well. Press the Pressure Cook/Manual button or dial. Then press the +/- button or dial and select 3 minutes. High pressure. The pot will take about 5 minutes to come to pressure. When the cook time has finished, let the pot sit undisturbed for 9 minutes (9 minute Natural Release). Turn the steam release knob to the Venting position to release the remaining pressure/steam. When the pin in the lid drops back down, open the lid carefully. Fluff the rice with a fork, and gently stir. Serve the rice hot, with extra parsley on top, if desired. You can add chicken to this if you want a one-pot meal. For an average sized 8 oz skinless/boneless breast, cut it in fourths. This will ensure it cooks without drying out. If the pieces are pretty thick, cut them just a little smaller, maybe in sixths and toss them in with the rice. If I want to double this recipe, do I need to adjust the time? Hoping to make this for a barbecue this weekend, it looks delicious! Nope, keep the time the same! Enjoy! I don’t have a pressure cooker, can you make it on the stove top or in a slow cooker? Actually you can bake it in the oven. 350° for 30 minutes to an hour, depending on your oven. I think a 8″x8″ baking dish will work.